The confident face of women’s road cycling: first glimpse of the new Queen of the Mountains road cycling range for women. The launch party for the Queen of the Mountains range reminded me of the beauty and fashion press launches I used to attend when I worked on women’s magazines. Champagne and exquisitely tasty nibbles? Check (lots of this, by the way). A nice selection of kit to inspect and brand ambassadors to promote it? Absolutely. The chance to bump into fellow journalists and industry type and have a not-for-publication gossip ? All that too. And a moving speech – complete with tears – by the (female) founder? Got it. As I’ve said before, female cylists are not all the same – and this launch was all about what it means to be a stylish, confident and capable female road cyclist. Every brand is a reflection of its founder, and Alicia Bamford (BA Commerce, BA Finance, Chartered Accountant – ICCA, and almost a decade in the corporate world, according to her Kickstarter page) is a fresh faced superwoman who loves cycling big mountains (we have that in common, if not the accountancy qualification) and Iron man competitions (five, in total). Although Bamford emphasises that she is keen to get more women into cycling, at this point the brand seems to be all about riding hard and riding in style. She had the idea for it when she was cycling from Geneva to Cannes over the French Alps and it is aimed at the sort of woman who will pay £120 for a race jersey, and maybe even stump up almost £2000 for an 8-day ride and yoga retreat break with the brand at Lake Annecy this summer, or maybe sign up to the Kickstarter campaign which has already reached its initial target (“I expected the backers to be people I knew” Bamford told me, “But they are mostly people I have never met”). The collection is, as you might expect, is driven by exceptionally high standards. Its designed by Bamford and her creative Designer Katy Hopkins in London, and produced in Italy at a factory with over 50 years experience in making performance cycling clothing, using performance technical wicking fabrics. In keeping with the mountain theme, it is inspired by the colours of Mount Ventoux: you don’t get more ‘chic road cycling’ than that. Crucially, the kit is also designed for the female form and all its curves, and the riding position. The race jersey is made in lightweight 4-way stretch fabric, with UV 50+ protection that is quick drying and anti-abrasive (though it obviously has its limits should you be planning to fall off). The shoulder fabric has increased elasticity for extra movement as you ride, and the rear pockets are designed with easy access in mind. There’s also a waterproof zip pocket for your phone. It’s quite short which could be a problem if you’re 5’ 9” (like me) and although the range is available in sizes XS to L (size 16) I think this top is proably best suited to the more athletic figure. The classic jersey is longer with a (slightly) more relaxed fit and there’s a super lightweight and white gilet (unlike me, women this stylish never accidentally spill their energy drink down their top, of course). The shorts are made of something called Lycra Power (so Jane Fonda!!) to reduce muscle vibrations and fatigue, with a Cytech pad suitable for 4+ hours riding. There’s also a wide waistband so no digging in and soft leg grippers to avoid the unflattering sausage legs look (my description, not their’s!). You can accessorise with matching arm warmers (£30) cap (£25) socks (£15) and a tan if you want to look like you just rode off the sports page of Vogue. It’s lovely kit, created by a woman who is good at business and an experienced cyclist. She knows her niche in the women’s cycling market and she’s done her homework. I wish her the very best of luck, and I cant wait to see what comes next from this exciting brand. To find out more visit the Queen of the Mountains Kickstarter site. Who really inspires me to ride my bike? A plea for diversity in marketing to women who love sport. It may come as a surprise, but the women who inspire me to ride are not the ones that many sports brands are choosing to collaborate with. I don’t deny young, smiley, pretty girls with no commitments other than an insatiable Instagram account and a yoga mat the opportunity to make some money (and I am hoping they are actually paid, and not just given free kit). But I’d really love to see a more diverse bunch of women represented too. Of course as I’m over 45, and apparently therefore no sports brand’s target audience, then most will not consider my point of view of any importance. Then again – and bearing in mind the sums of money some of my aged 50 plus friends are currently spending on their Alpine cycling adventures – it might be worth sitting up and taking notice. 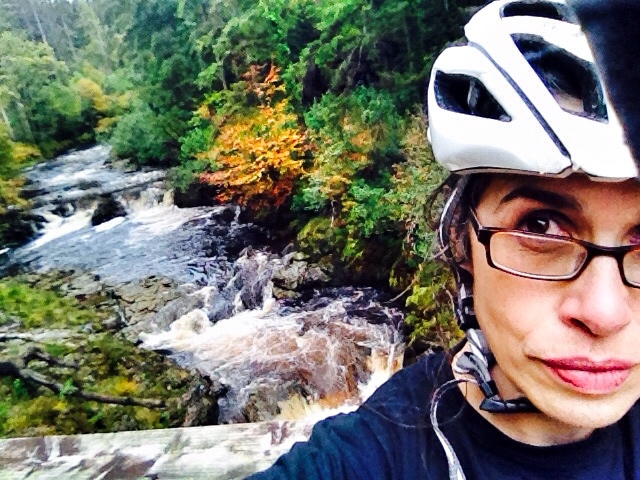 So here goes: the women who inspire me to ride my bike are the provocateurs, the trail blazers, the mavericks, those who ‘don’t quite fit in’ but who ride their bike anyway – and have a great story to boot. I also value the way they communicate that story: great writing will never go out of fashion (enough of the feel good lifestyle quotes, please). 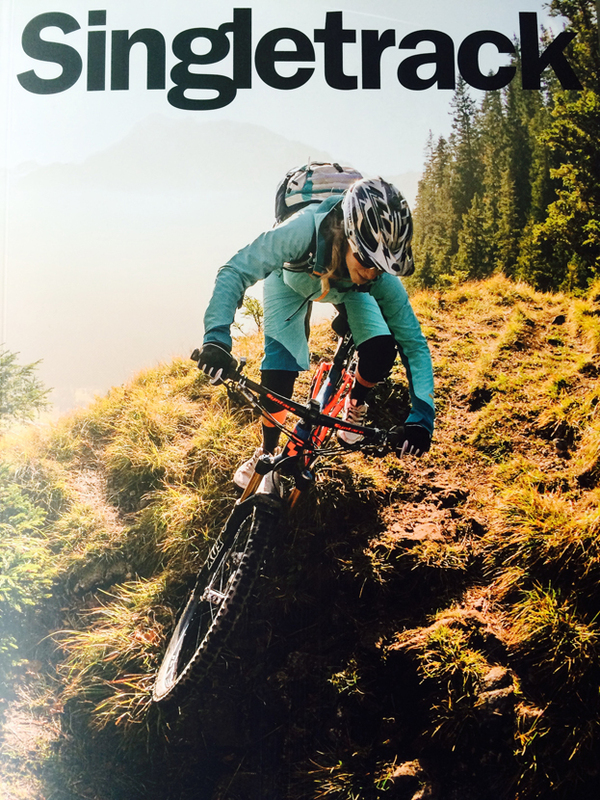 As an example of women who make me go ‘wow, I’ll cite Rebecca Rusch: 47 year old, multi-title winning U.S endurance mountain biker, self-titled ‘queen of pain’ and firefighter (how’s that for a job description?). She also wrote this – a letter to her former self – which is just about the pinnacle of authenticity that really only comes with age, and the last word on finding your own way forward. Interestingly Rebecca is clearly pretty heavily sponsored – perhaps there is nothing to be feared in collaborating with older athletes after all. 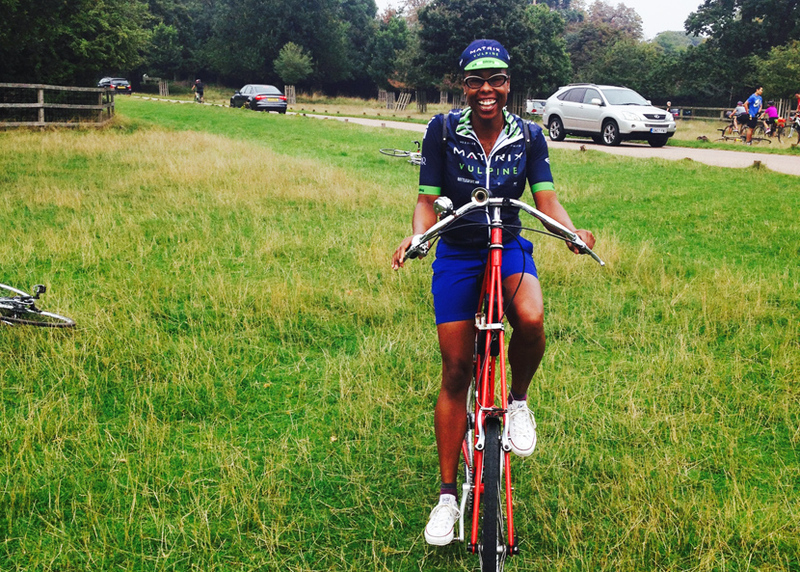 And then of course there is the lovely Jools Walker – cycle style blogger and The Cycle Show presenter. She’s a great communicator, 30 something, charmingly quirky, and totally authentic: you just want to be best friends with her. She’s also black – there I said it – how wonderful it would be to see the diversity that exists in cycling – be it age, gender or ethnicity – more widely represented. I’ll also flag up Sian Roberts, mountain biker and co-owner of the fabulous Oldskool Mtb Accommodation near the Coed y Brenin trail centre (I’m share the link on the condition that you don’t book yourself in when I want to be there) who let slip, over a cup of coffee, that she had been a Welsh and UK MTB elite racer – and had persuaded key sponsors to come on board when Coed y Brenin (the first and largest trail centre in the UK) was set up. You really don’t get much more trail blazing than that. There are loads more inspiring women riders of course. Who would you add? Let me know below – and the more diverse the better, please.